This year I had an amazing birthday present on Christmas Eve. 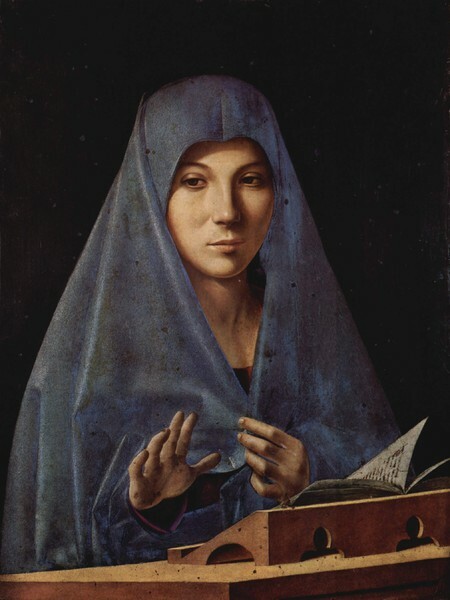 It was the great exhibit of Antonello da Messina at the MART Museum of Rovereto, near Trent. I really enjoyed this experience. The exhibition layout was clear and each piece was well arranged. I very much like all Antonello’s works, but, this time, I was especially impressed by one of them. The Annunciata (Palazzo Abatellis, Palermo) is one of my favorite pictures. More than an work of art, it seems to be a poem or even a prayer. In such a small dimension (about 35×45 cm) you can see the essence and the spirit of the Italian Renaissance. It’s a perfect portrait. It’s not only a realistic picture like the Flemish ones, but also a perfect expression of the great achievement of Italian painting.